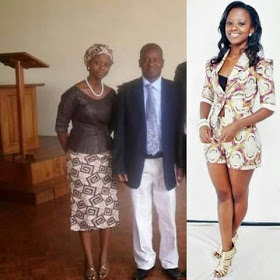 Tero Mdee happened to be s3xiest female celeb around 2009-2012 before she vanished. She was str8t up’s host, a local entertainment program that is aired in KTN on every Saturday, 11.00am to 1.00pm. Rumor has it that she later married a pastor as a second wife. Below is a photo of Vanessa Mdee’s sister, Tero Mdee that social media users are already making viral.